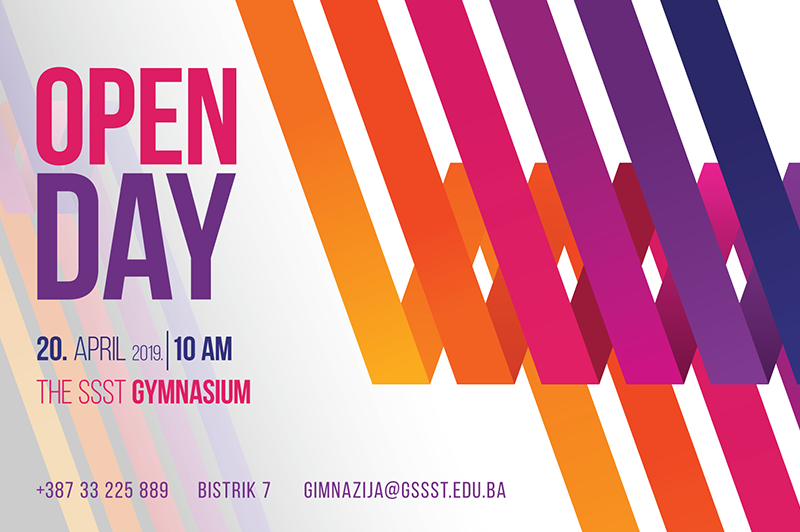 First edition of Gymnasium SSST Open Day in this year will be held on April 20th, starting from 10:00 am. As every year, all primary school pupils are welcome to visit us with their friends and parents, meet their future professors, get to know more about the teaching process, as well as to have a tour around classrooms, labs, amphitheaters, cinema room and cafeteria. This way, all interested pupils will get a glimpse of the atmosphere in which they will hopefully spend the next four years, acquiring extensive knowledge and preparing for their future education in Bosnia and Herzegovina or abroad. Visit us at Bistrik 7, Sarajevo on April 20th, starting from 10:00 am. Your future starts with us!